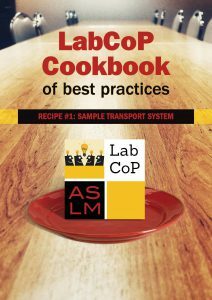 ASLM is pleased to introduce LabCoP’s Cookbook of Best Practices! This series of recipes, consisting of considerations and best practices, will cover a variety of topics along the viral load cascade. These recipes are the result of south-to-south information sharing of country teams across Africa that participate in ASLM’s LabCoP and monthly ECHO Sessions.